Wireless charging isn’t new. 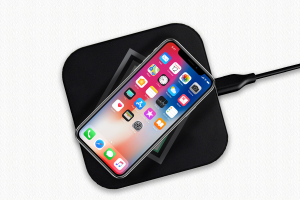 Recently, the growth and proliferation of wireless charging devices – think charging pads, mats and other go-to devices – has brought this technology front-and-center, generating tons of buzz and tons of demand. And the trend is showing no signs of slowing down – the value of the wireless charging market is over $2.6 billion and is expected to grow to $23 billion by 2023. This year alone, the market is expected to grow 40%. The challenge? With so many options paired with these chargers – relative newness in the marketplace, too many businesses and consumers are choosing the wrong product for their unique needs. To choose the right wireless charging pad, especially the right promotional charging pad for your brand or business, you need to understand the ins and outs of this diverse product set. What Is a Wireless Charging Pad? Central to the wireless charger category are wireless charging pads. 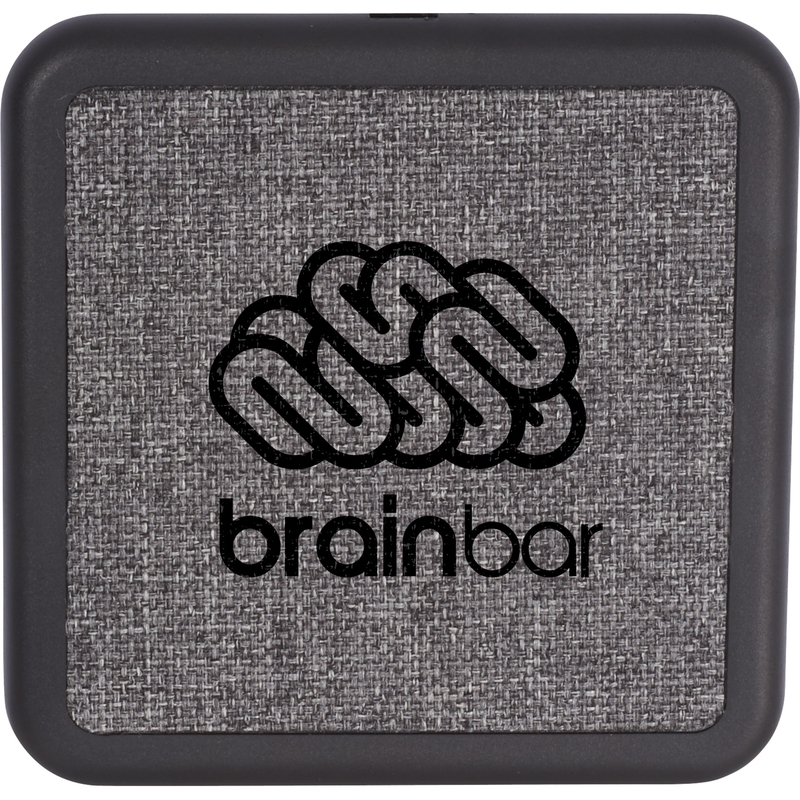 These devices charge smartphones, tablets and other mobile devices (that adhere to the “Qi” standard ) without connecting directly to that device. Simply lay your device face up on a charging pad and leave it there to charge. A quality charging pad is as effective and efficient as a traditional cable, but you’ll never be left fumbling with cords or finding out in the morning your device wasn’t fully plugged in. How Do Wireless Charging Pads Work? Like traditional chargers, wireless charging pads connect to a USB port or wall outlet. Once connected, they create an inductive or magnetic field within the charger’s coil. 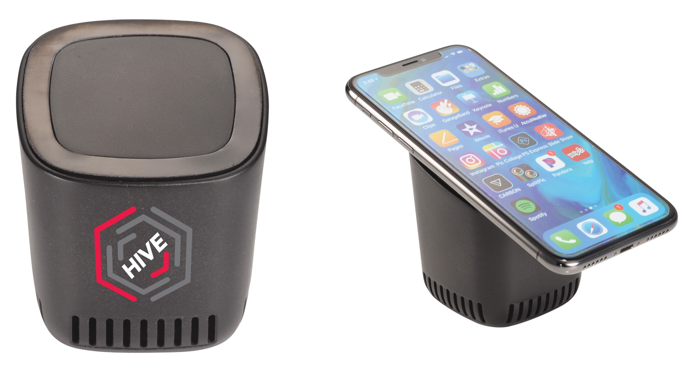 When your smartphone or device is placed on top of the pad the coil with the charger wirelessly connects to the coil in your device battery, powering your device quickly and easily. Because of the electromagnetic field created, the resonance technology, these chargers can work with virtually any Qi smartphone or tablet. What are the Advantages and Disadvantages of Wireless Charging Pads? This simple charging functionality is a key benefit as is the sleek, slim look of these chargers – it’s easy to leave one on your nightstand, your desk and anywhere else you frequently need a charge. Beyond that, though, because there’s no cord to plug into your device, there’s no risk of a faulty connector causing trouble – getting stuck in your phone, fraying, eroding or, even, posing an exposure risk. Just drop a charging pad, lay your device on top and you’re charging – it’s simple, seamless and safe. Keep in mind, wireless charging pads typically don’t work around pop sockets, cell phone wallets or card cases. There are some exceptions but, if you have anything covering your device, it’s better to remove it before you charge your device wirelessly. They also won’t work with every device – only iPhone 8 and later support wireless charging. On the Android side, Samsung Galaxy S7s, 8s, 9s and Note 5 an be wirelessly charged, as can the LG G7, LG G6, LG V30 series, LG V35, Moto Z series, Sony Xperia X72 and Nika 8 Sirocco. How Long Does It Take the Wireless Charging Pad to Charge a Device? One final challenge: wireless charging pads are limited to just five watts of power—the equivalent of a one Amp plug. Compared to many traditional chargers—chargers with two Amps of power or, even, quick charge technology—wireless charging pads can fuel your phone at a much slower pace. Overnight or during the work day that’s likely a non-issue. But if you’re in a pinch and need a charge, a “regular” charger may be the way to go. Wireless charging pads take about two to three hours to charge an iPhone, for example, but can charge some Android devices in 60 minutes or less. Charge times are likely to improve as the technology on both sides does, so expect these to come down in the not-too-distant future. How Much Should I Expect to Spend on a Quality Wireless Charging Pad? As you’re shopping wireless charging pads and promotional charging pads, charge time is an important consideration—and, chances are, you’ll find somewhat of a range. You’ll also find a range in terms of cost. There’s a broad spectrum in terms of wireless charging pads and price ranges—expect to pay anywhere from $10 to more than $300 for a single piece. 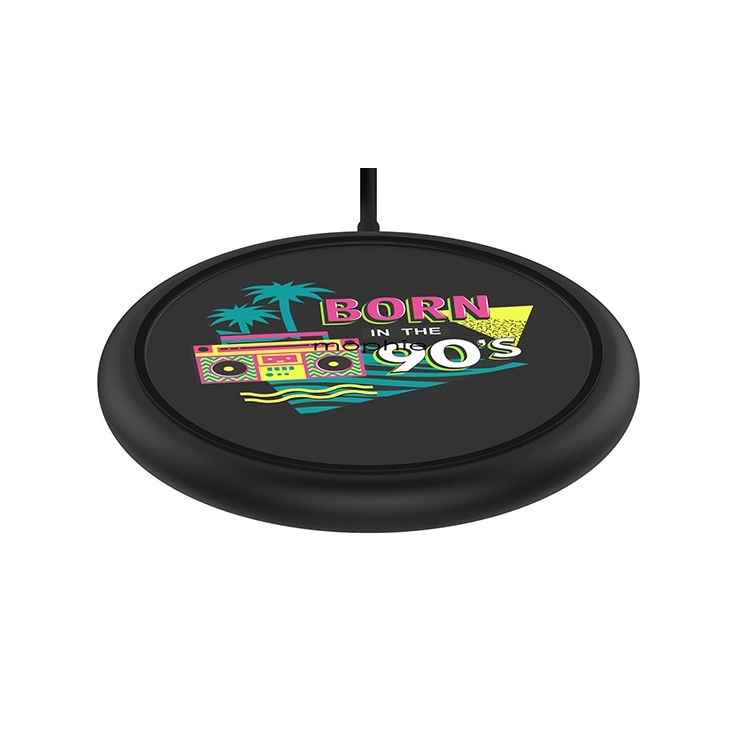 Our promotional wireless charging pads tend to have a smaller range. In the roundup below, for example, you’ll find a number of quality chargers that all fall on the sub-$20 per piece list—and, in many cases, significantly less. Wireless charging pads exist to fit any budget, with prices varying from under 10 dollars to more than $300. Popular pads now run between $30 and $70. Even so, you’ll find excellent chargers for much less. Another challenge? Wireless chargers aren’t compatible with every mobile device. To be compatible, look for cell phones and devices that adhere to the “Qi” standard. While other standards exist – the Alliance for Wireless Power (A4WP) and its resonance technology as well as Power Matters Alliance (PMA) which recently merged with A4WP, specifically – Qi has almost entirely taken over the marketplace. If your device or would-be device doesn’t adhere to the Qi standard, it may not work with a wireless charger. If you aren’t sure if your device is compatible, check out this roundup and see if your model is “Qi certified” or otherwise compatible with wireless charging. Granted, the list is growing as mobile technology and wireless charging technology evolves and accelerates – expect the full list of compatible devices to expand in the coming months. What Should I Know About Wireless Charging Pads? So the big question: are wireless charging pads the right promotional premium for your business? Very simply, yes. Not only are they, again, incredibly versatile and easy to toss in any spot you frequently need a charge, but these chargers create an optimal first impression – who isn’t searching for a charge around a conference room or in the office? And each time they lay their phone on your branded charger, they’ll be reminded of your innovative, customer-first brand thanks to the over-sized logo display. What Are The Best Promotional Wireless Charging Pads? While there are lots of promotional wireless chargers on the market, the Qi Wireless Timber Charging Pad has a very prominent logo display to ensure maximum brand awareness, plus an LED light indicator and non-slip bottom. Another favorite is this low-cost, high-power Qi Wireless Phone Charging Pad, available in six bold colors. 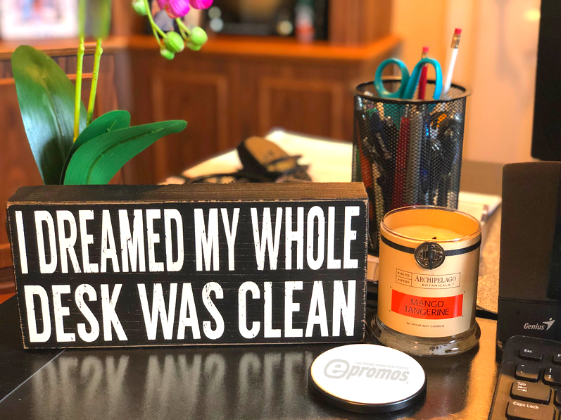 If your business wants something sleeker and more high-end looking, consider the Square Qi Wireless Charging Pad in a gray wool-inspired finished or wood tone or a Faux Leather Wireless Promotional Charging Pad. We also love this bold Smartphone Wireless Charging Pad with a 2-in-1 Cable in fun, spring-y colors including light blue and mint. 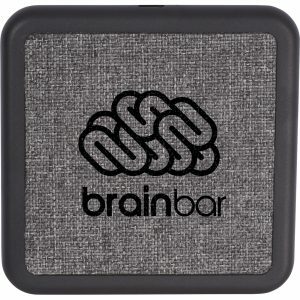 And when the weather heats up, this 2-in-1 Bluetooth Speaker with a Wireless Charging Pad is the ultimate must-have – blast your favorite playlist while charging your phone. Bonus!